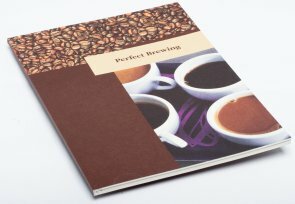 This is the answer to your thirs for knowledge on coffee: A book brewed to perfection, filled with the pleasant aroma of everthing you wanted to know about coffee. The book has been written by the European Coffee Brewing Centre to serve as a reference book for people who buy, make, sell and serve coffee. The book is also available in Norwegian and Spanish.